I am in no way shape or form a coffee drinker. But there is one coffee I tried and actually liked, It's the Roasted Hazelnut of Super Coffee. I took a sip and I immediately liked the flavor. Nutty and sweet but also not too sweet. It's really very like-able. If not for my weird tummy that reacts to a lot of things, I would have had more than 2 small cups. Rina on the other hand who loves coffee, also obviously really loved it. 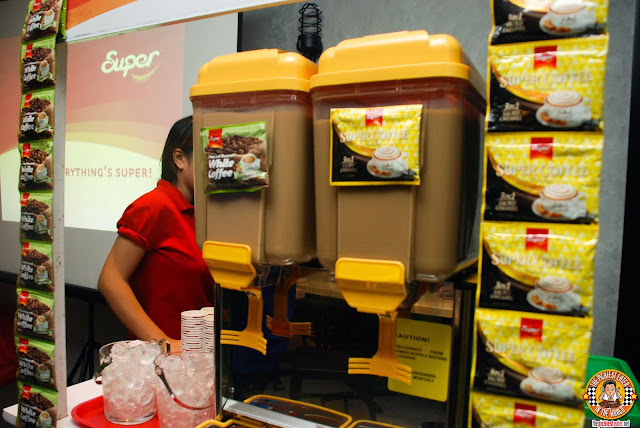 Super Coffee is from Singapore and is now here in the Philippines. You know it's of excellent quality when they use only world-class quality beans from Vietnam, Brazil, and Indonesia. 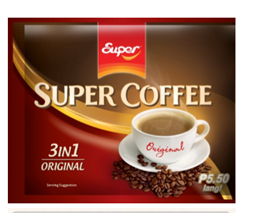 Compared to the other brands, you can really say that the taste of Super Coffee has more oomph and tastes more special. 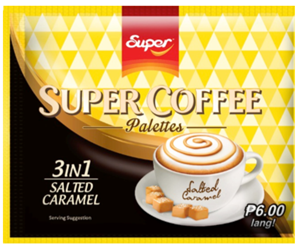 With Super Coffee, you will feel like you're having barista drinks right at the comfort of your own home, not to mention for such a small price! Only 6 pesos per sachet! 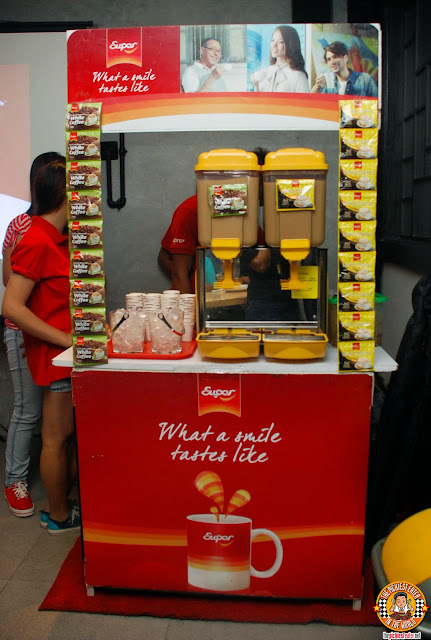 Super Coffee already has started creating and spreading happiness with their delicious coffee in Eastwood, MRT Ayala station, and in Baguio! Gorgeous dancing Baristas were seen, some with their innovative Super Coffee backpacks serving free hot or cold Super Coffee to tired commuters. Over 3,000 cups served in Baguio city, and over 5,000 each in Eastwood Citywalk and Ayala MRT Station. It's just one of the many surprises Super Coffee has ins store for everyone, as their way of staying true to their slogan.... "Some pursue happiness, We help create it." 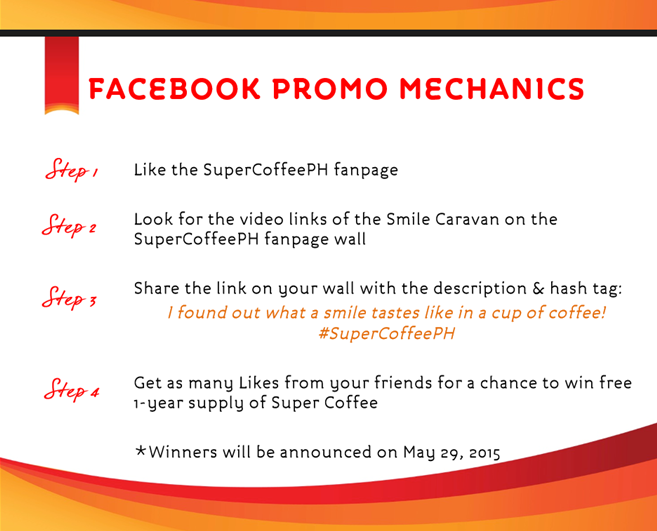 Another surprise is another way to win one year FREE supply of Super Coffee 3in1! This one is easy too! It's just a matter of sharing their Smile Caravan video link! Nothing to lose! And you could have free Super Coffee good for one year! And just when you thought the chances of winning was more than enough, Super Coffee is also giving readers of The Pickiest Eater another chance to win a year's worth of Super Coffee! Just follow the rafflecopter below and you're all set! The best of luck to all!!! 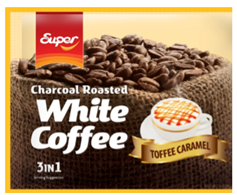 Super Coffee is special because of its unique flavors (that only they have among other coffees in the market) that will definitely be enjoyed by coffee lovers and non-coffee drinkers. I will not be surprised if it will be a hit and makes an entry to other coffee brands. I think because of the unique flavors they offer and the fact that it really did taste good. 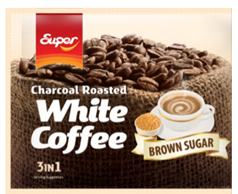 Super Coffee is special because it has charcoal roasted variants and flavors that other brands do not have. It is also the only coffee that captures joy and smiles in a cup! 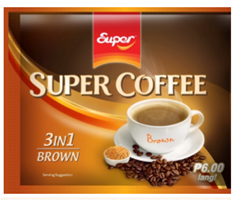 Super Coffee is special because it has a nice variety of flavors. It is special because the coffee is pressed to deliver maximum flavor. YUMMY STUFF!!! HAZELNUT FOR THE WIN! 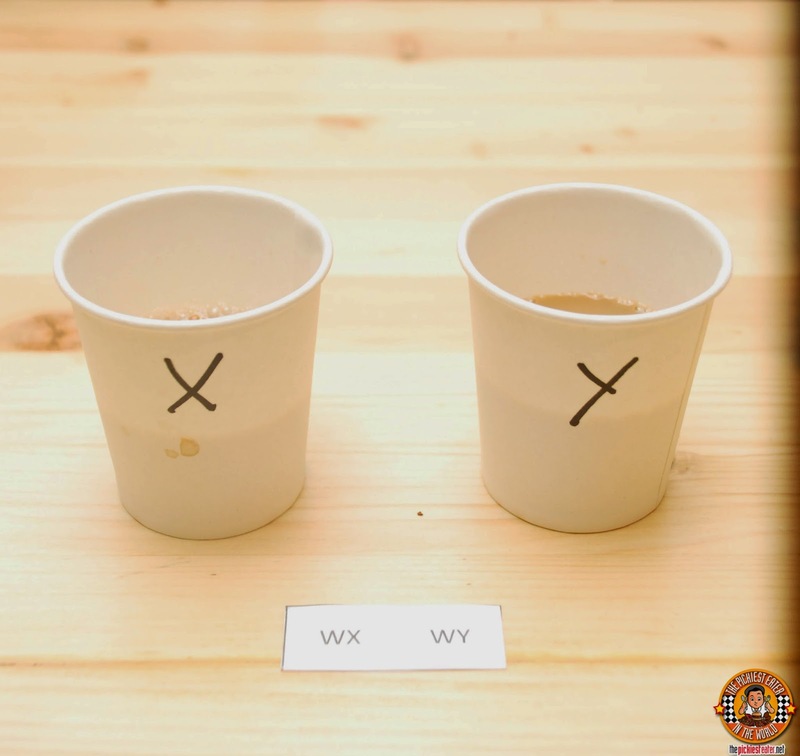 Good quality, affordability and new concoctions make Super Coffee special. What makes Super Coffee special? It has more oomph and aroma. It has a lot of variants to choose from depending on your mood and taste. there something for everyone. 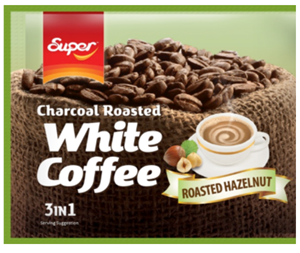 Super Coffee is special because of the world-class quality bean they use but I believe and this is based on our own experience just last week, was its ability to surprise the taste buds and makes you yearn for it, look for it and go crazy about it! lol! Actually, we were served the Super Coffee when we had lunch at Balajadia's in Slaughter Compound in Baguio. My husband and I agreed that it was one of the best coffee we tasted so far. We wnt and look for it at the mall, however it's not yet available. 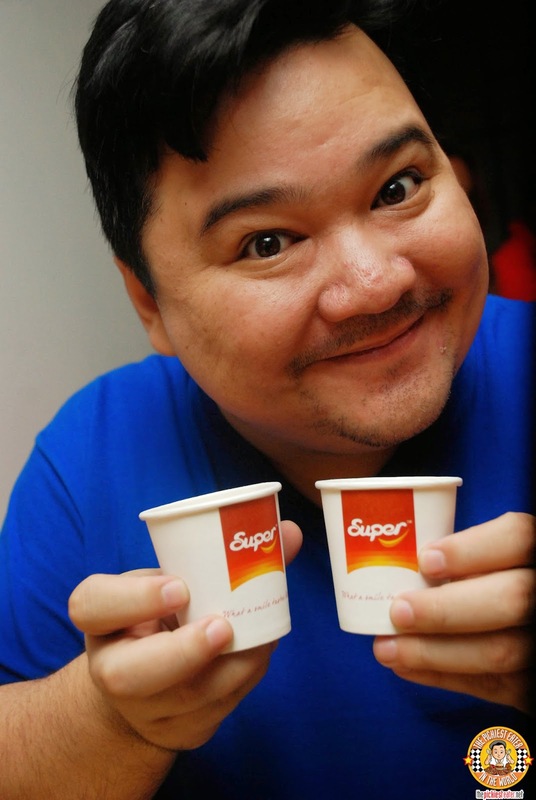 I'm happy when I saw their current campaigns because they sure live up to their name... SUPER! Super Coffee is special because of the very unique taste it gives which can make someone's day perfect! It's a cheaper alternative to my usual coffee, and with lots of flavors to choose from. I'd like to try this. It's unique taste and aroma! It's special because of its ability to awaken the senses! the different flavors make it special! The very unique flavors make Super Coffee special! SUPER BOWL OF CHINA: NEW LOOK & NEW DISHES! See What Others Can See With ASUS ZenFone 2!